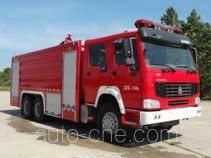 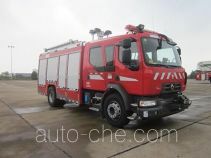 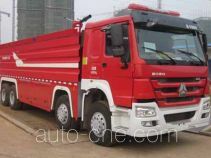 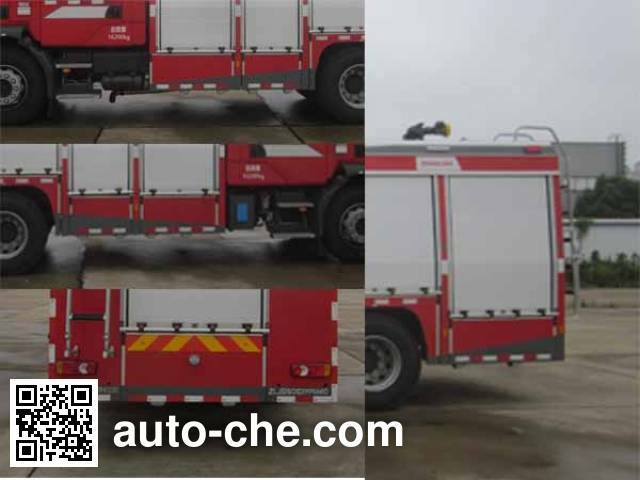 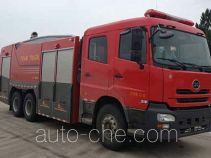 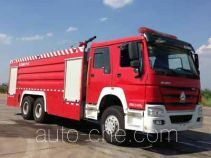 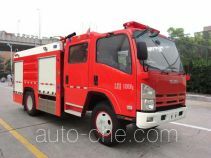 Zoomlion foam fire engine ZLJ5160GXFPM40 (batch #290) based on D1842R chassis is made in China by Changsha Zoomlion Fire Machinery Co., Ltd. 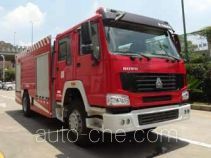 The company is located in Changsha, in Hunan Province, China. 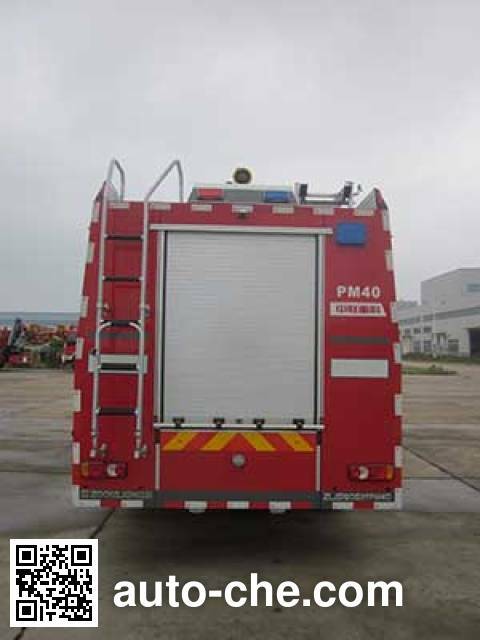 Manufacturer Changsha Zoomlion Fire Machinery Co., Ltd.
A subsidiary of Zoomlion Heavy Industry Science and Technology Development Co., Ltd. 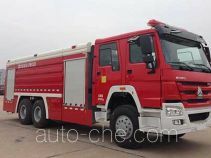 The total volume of 4.080 m3 tank, tank volume: 3.065 cubic meters, tank dimensions: 1730 × 1200 × 1540mm, foam tank volume: 1.015 m3 foam tank size: 640 × 1100 × 1500mm, reach: 410mm, extension: 305mm, monolithic lateral protective structure, after the protective ground clearance 521mm. Net engine power of 217kW, ABS model EBS7 ECU, ABS manufacturer of KNORR. 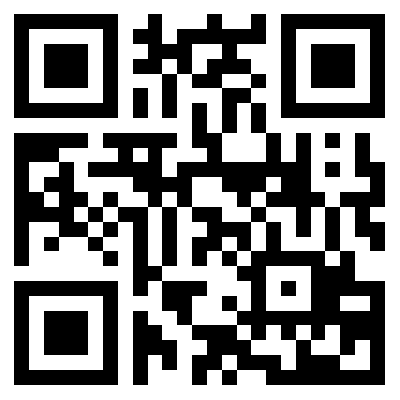 The car quality overrun.